A question I get often is what to eat after a workout. It’s important to fuel your body before and after workouts because exercise requires so much energy. 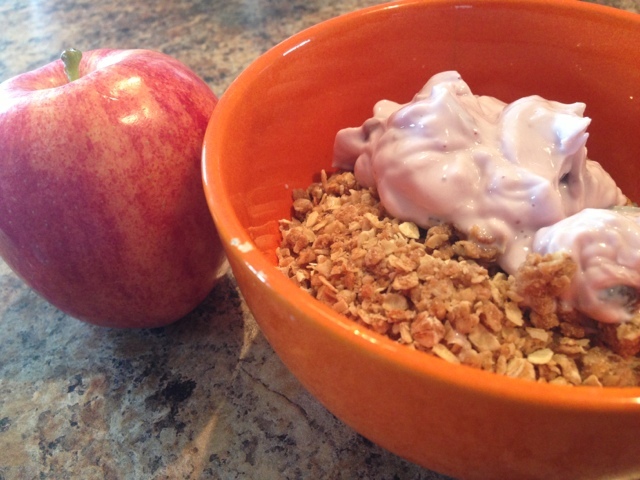 The snack I chose today is an apple, Greek yogurt with blueberries, and my homemade cereal. An apple is a wonderful choice after (also before) because it contains healthy carbs that fuel your body properly to help you from getting too fatigued. During a workout you lose water and it can affect your electrolyte balance. Well eating an apple helps replace lost water and provides potassium, which is one needed ingredient for electrolytes (the other 2 are calcium and sodium). 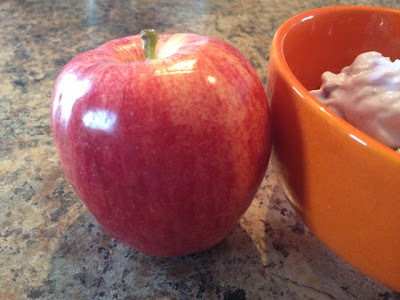 Plus, eating an apple contains fiber and helps with appetite control and weight loss. Pairing Greek yogurt with my apple was excellent because that provides my calcium and my cereal has healthful oats, nuts, and provides a tiny bit of sodium to balance the electrolytes. You can leave out the cereal if you want but I am eating it to keep my calories up for breastfeeding my little one. The blueberries in the yogurt are great because they provide more hydration, important vitamins, and healthy carbs. You can actually keep blueberries at room temperature so they are a great snack to bring to the gym with you. Eat them before, during, and after a workout if you choose! Of course, we can’t leave out water. Water is an excellent source of hydration and nothing beats it!